Buying A Certified Pre-Owned Honda is One of the Best Choices You Will Ever Make! When you are shopping for a car one of the most important things that you will experience is being able to find a car that is both modern and affordable. When you are looking for a car just like that, you should take a look at the selection of Certified Pre-Owned Honda models that we have here at Paul Miller Honda of West Caldwell in Caldwell, NJ and you will be completely blown away. When you are looking at a Certified Pre-Owned Honda you will see that these models will bring you a ton of different features, performance, and technology that will be offered to you at a much more affordable cost than you would ever expect. These models will ensure that you get a car that will give you everything could ever want a price that is nearly too good to believe. This inventory will give you access to models like the Honda Civic, Honda Pilot, Honda Accord, and Honda CR-V as well other models from Honda. This selection is complete subject to change, so if you do not see something you like right now, then check back another time to see what we have gotten. A Certified Pre-Owned Honda model will also give you a car that comes with an incredible warranty and low miles to ensure that the Honda model you purchase will last you many years to come. Additionally, these models will also be subjected to a thorough inspection to make sure that this car is not only looking great, but also in great shape mechanically! 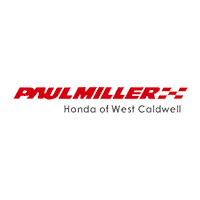 As a driver in West Caldwell, Parsippany-Troy Hills, Wayne, Montclair, and Livington, NJ there is no better place to shop for a Certified Pre-Owned Honda than Paul Miller Honda of West Caldwell! Make the trip today and see what we will do to make our dealership special. See you soon!